Enjoy unique food experiences from June 24-28, 2018, when CULINARY ISLAND - Bornholm's Food Festival takes place for the first time. A large number of Bornholm's food manufacturers and others, opens their doors for you. You can meet the fisherman, the farmer and the food manufacturer, and visit the farm shop and the great eateries. The unique food experiences are waiting around the corner. Bornholm has a varied and unique mix of food experiences. New producers and eateries keeps appearing and they complement an already diverse and exciting food landscape. 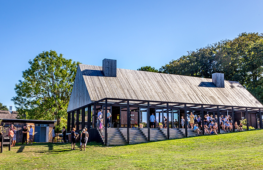 The whole island is a festival spot when the Culinary Island – Bornholm’s Food Festival 2018 takes place from Sunday 24 June to Thursday 28 June, for the first time. Experience the sublime cookery at “Sun over Gudhjem” Saturday, June 23th – and give yourself some extra food days on the island at the Culinary Island – Bornholm’s Food Festival. 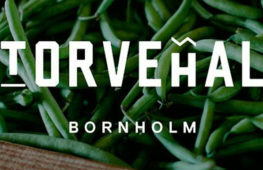 A large number of Bornholm’s food manufacturers and others welcomes you. You can meet the fisherman, the farmer and the food manufacturer, and visit the farm shop and the great eateries. The unique food experiences are waiting around the corner. Culinary Island – Bornholm’s Food Festival has events for everyone who loves food. The festival has events all around the island, some events are free and som has a charge for an entrance or fee. In the event calendar you can see more about all of the exciting and tasty events, which the Culinary Island – Bornholm’s Food Festival offers. There is everything from an early morning at the beehives with a tour of the orchard, picnic with butterflies and visits to Bornholm’s first wagyu cattle. There is definitely something for everybody. Here you will find the festival's food events. There are three options to join: If there is no registration, you can just meet up and attend. If there is a registration and the event is free, contact the organizer. If there is a registration and the event is not free, you can buy the ticket via the calendar at www.gaarden.nu or directly with the organizer. Events will be regularly added to the calendar. Are you curious about learning Bornholm’s food, as it was for 100 – or maybe 200 years ago? Then you might want to immerse yourself in the book “Bornholm Cooking Traditions – a cookbook of cultural history”. It was written by former museum director at Bornholm Museum, Ann Vibeke Knudsen. The book was awarded a literary award in 1994 by the Académie Internationale de la Gastronomie. The cookbook of cultural history with Niels-Holger Larsen’s beautiful photos can also be found at www.bornholmernesmad.dk.